Happy Friday! 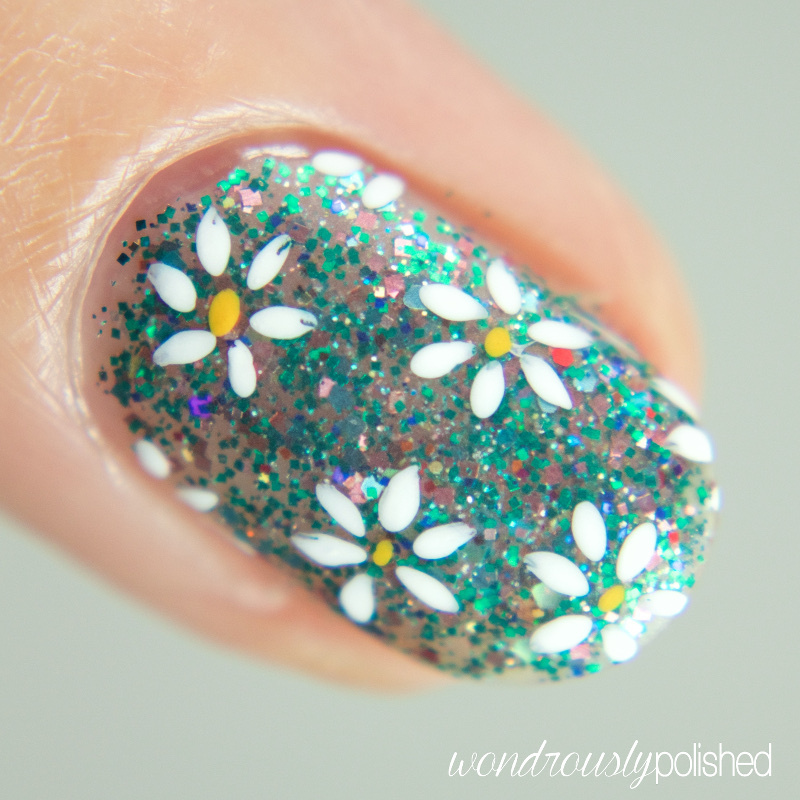 I've got a quick swatch and nail art post to share with you today! 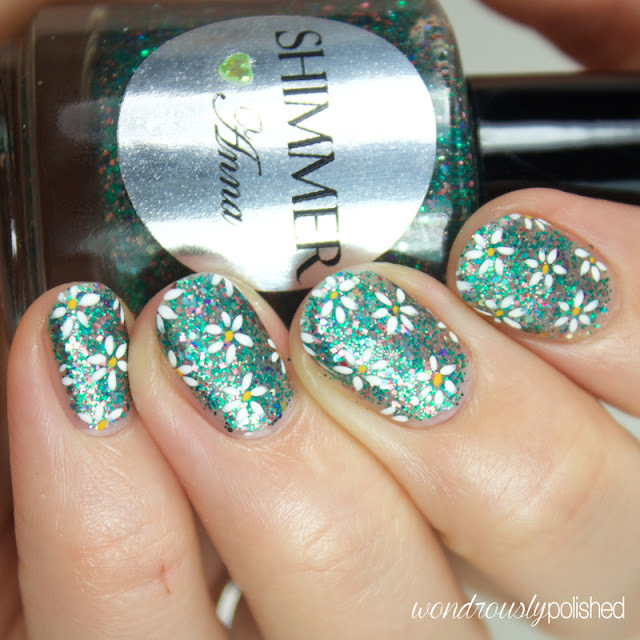 Shimmer Polish's Anna is a lovely teal, lilac, gold, and silver glitter that can work as either a glitter topper or a standalone polish. How is everyone's week going?? Hopefully smoothly and hopefully you're getting excited for the coming weekend! I have swatches from one of my favorite brands, ncLA, to share with you today! Happy Wednesday, all! 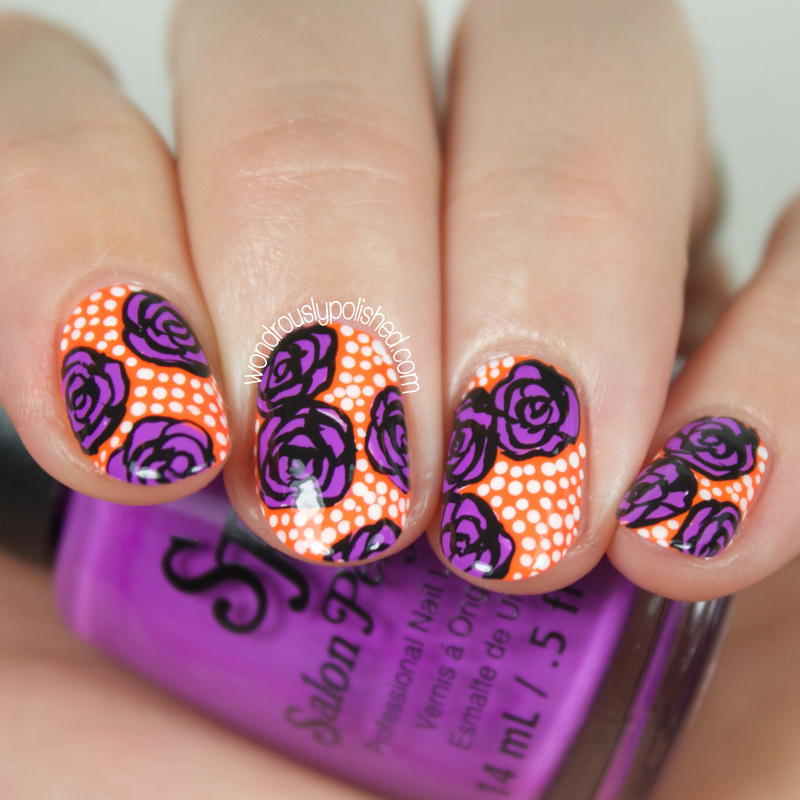 I have a quick post today with some new fun polishes by Sally Hansen to share today! 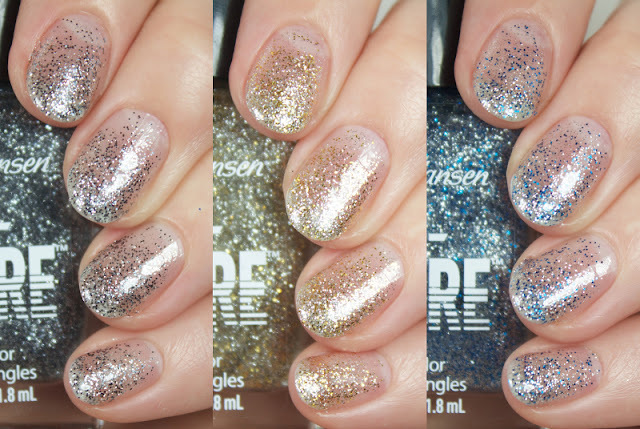 When I first saw these Insta-ombre polishes I was so excited! 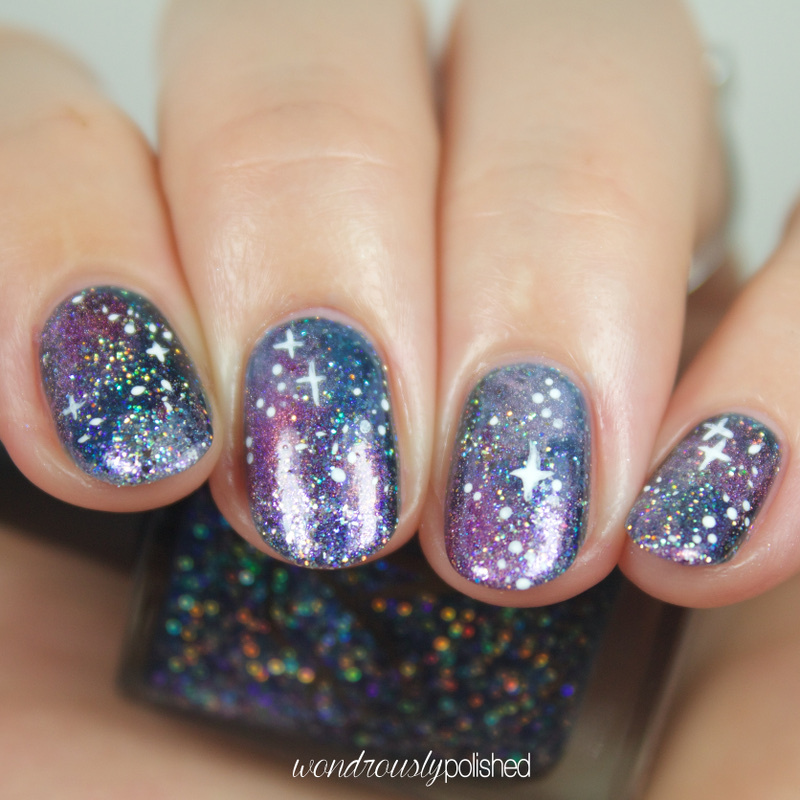 The concept is that you use the glitter in various layers to build up a gradient/ombre effect. Basically, you start with one coat over the full nail, then the next coat covers about 2/3 of the nail, and the final coat covers just a 1/3rd of the nail. So as you move down your nail, the coverage gets built up and the ombre look is created. Pretty cool! 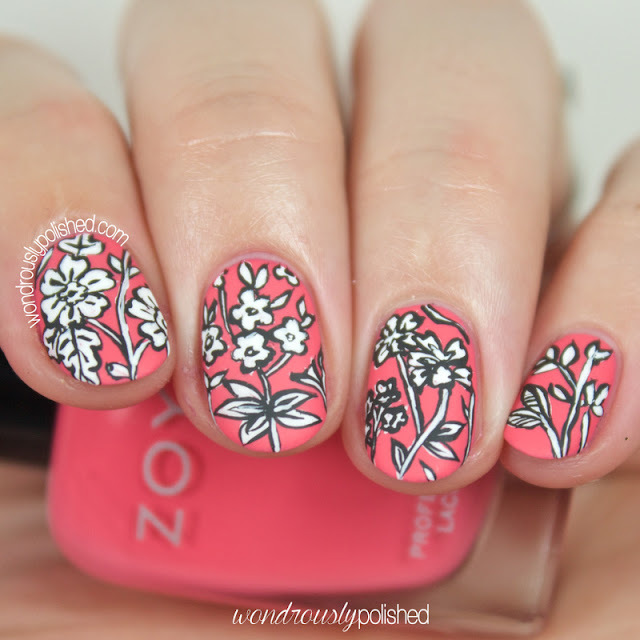 As promised, here is the second part of the Zoya Summer collection I shared yesterday! This half of the collection, the Paradise Sun Collection, is made up of shimmers that mirror the creme shades we saw earlier. While I don't like this half of the collection as much (mostly because it's not creme...hey, I can't help what I love! ), I do think they feel very tropical and pretty and the formulas were, for the most part, easy to work with. Hello, all! I hope your Monday is treating you nicely! 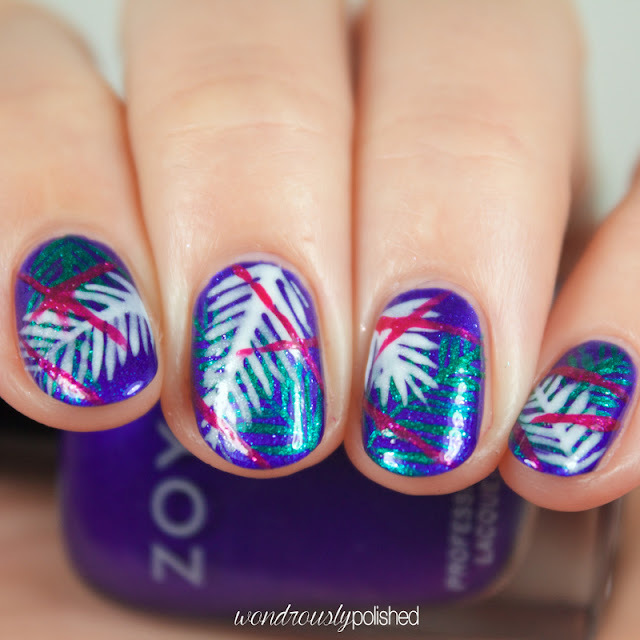 I have the first half of the Zoya summer collections to share with you today, the Island Fun set! I love how Zoya releases a creme collection and a shimmer collection so there is something for everyone. You might know by now that cremes are my heart and soul and this collection has me swooning. They are all super pigmented and just delicious hues. I like that they're not conventionally summer shades, yet they still manage to be summery and tropical. I'll have part two of the collection up on the blog tomorrow so stay tuned! Hello, all! I have a great new set of summer shades from the recently opened Gunpowder Lacquer to share with you all today! 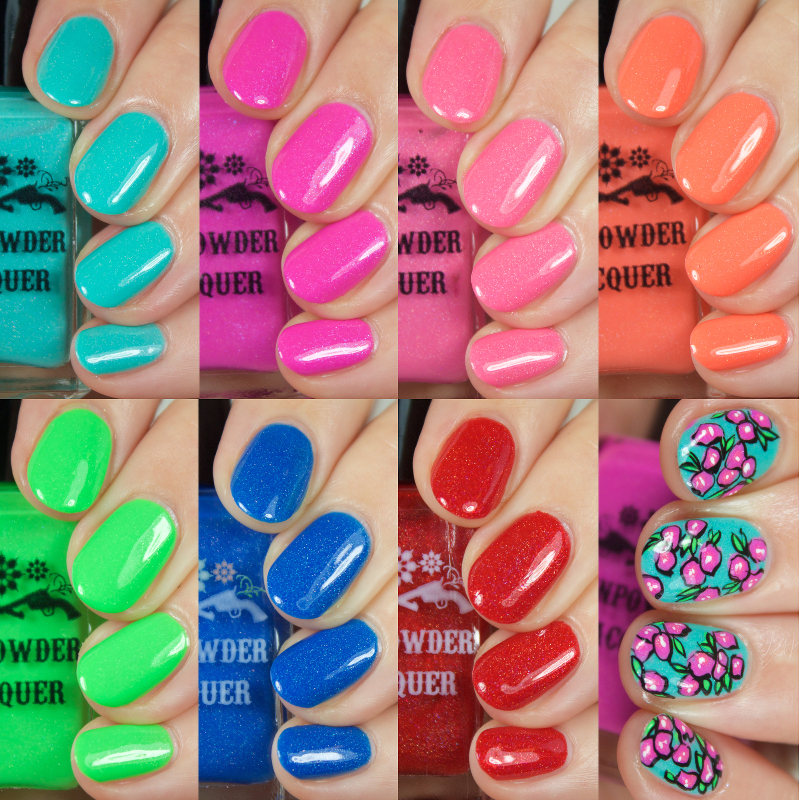 Gunpowder Lacquer was started by the sweet Carly (a college student!) and her fishing partner and best friend Jason. Since Carly is a country girl, she wanted to create a brand that helped to express her girly, yet was still tough and able to withstand the daily grind of life. I grew up raising animals and lived in a rural area and I truly miss the "country" part of where I grew up so this collection really spoke to me. So, without further ado, here is the Sunshine & Whiskey Collection! Hello, all! 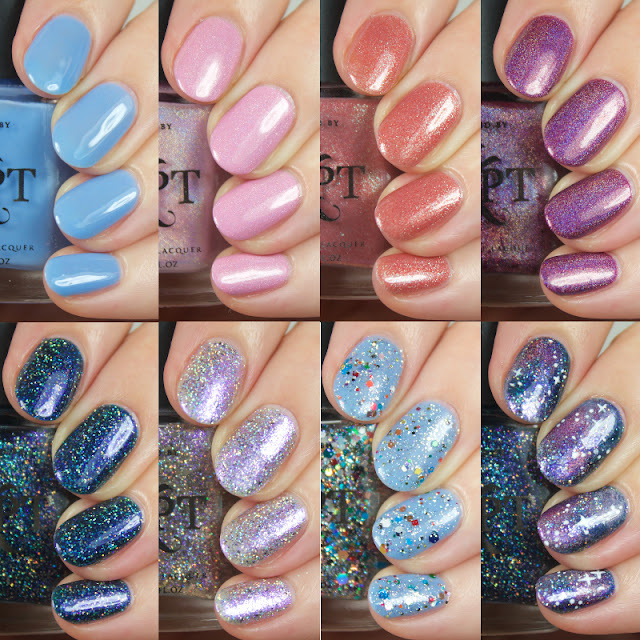 I have swatches of some incredibly striking Polished by KPT polishes to share today and I'm so excited about them! While these polishes aren't specific to any particular season, this set of polishes includes a good spread of the pretties that KPT carries in their shop. KPT carries stunning holos, thermals, glitter toppers, and much more (including so delicious smelling and easy to use cuticle oils!). Overall, I'm really impressed with these polishes and if these 7 are any indicator of the rest of the brand, I think I'll have to add to my newly started KPT collection soon. Let's take a look! Hello, all! 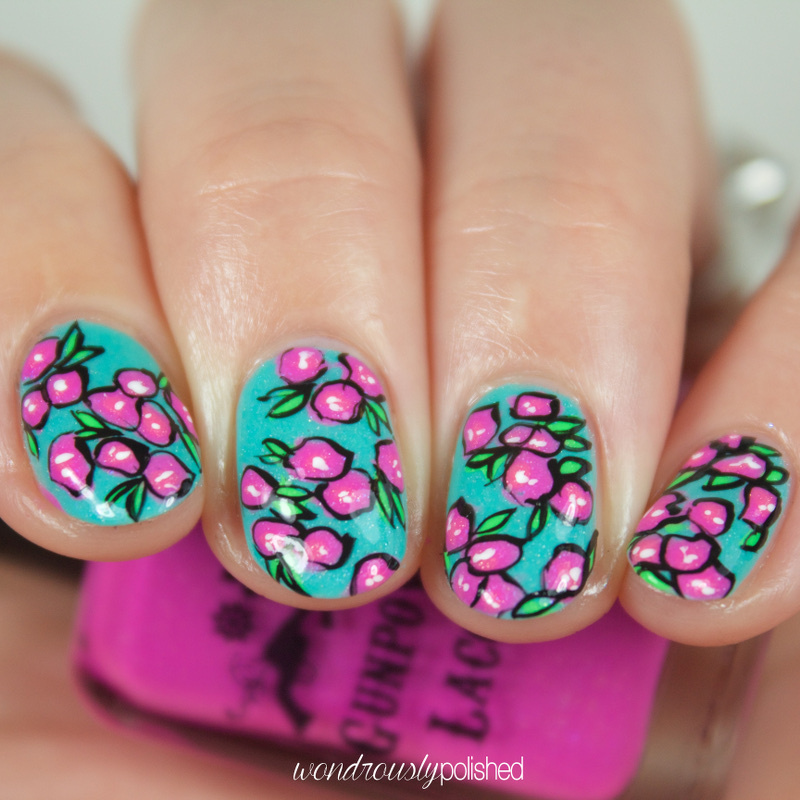 I have yet another nail art post to share with you all today! Tonight, I turned on Battlestar Galactica (I'm watching it for the first time and loving it so far! ), and started painting! The beauty of tonight's mani is that I did it just for me. I felt like doing nail art, so I did it :) that is a feeling I've been missing for awhile and I'm loving that my mojo is back. Hello, all! I have the first part of an epically beautiful holographic set of posts! Live Love Polish sent Color Club's stunning holos and I can't get enough of how wonderful they are. The Halo Hues collection was released over two years (2012 & 2013) and each set is made up of 6 polishes each. I have the 2012 set to share today and the entire collection has a phenomenal formula. Sometimes holos will show too many brushstrokes or will thicken after the first coat for me, but all of these were really easy to work with. I've heard this about these holos, but it was still refreshing to see in person just how nice they were. Happy Monday, all! I have a really special post to share with you all today! 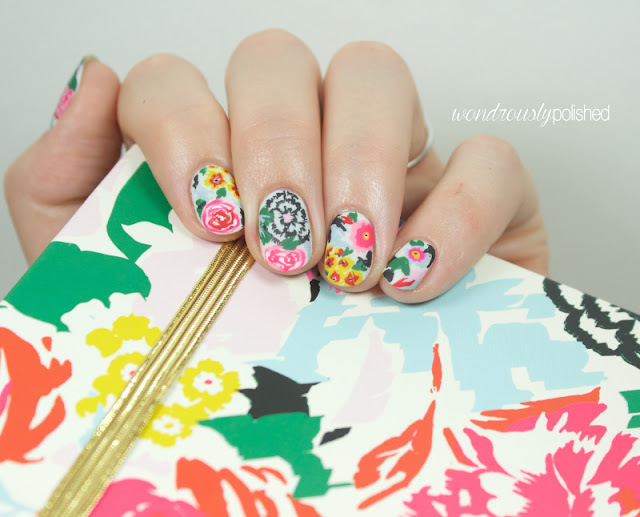 Myself and a few fellow nail bloggers have decided to link up every once in awhile and do posts inspired by a group chosen theme. Our first ever theme is....Floral! 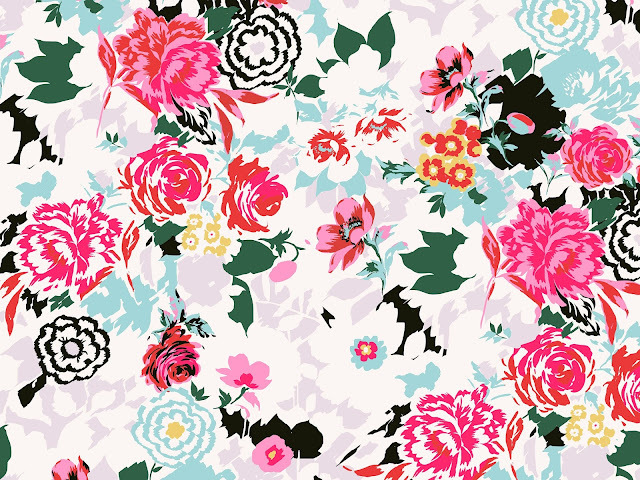 Of course I am absolutely ecstatic about this ;) I love my florals! If you've been following my blog for awhile, you might (small chance) remember that last year I purchased an Erin Condren planner and since then I have become a bit obsessed with planners, lists, and all things washi/stickers/pens/you name it. My current obsession is my new Ban.do planner and since I'll be able to start using it at the beginning of August, I thought it would be fun to do a mani inspired by the stunning cover! 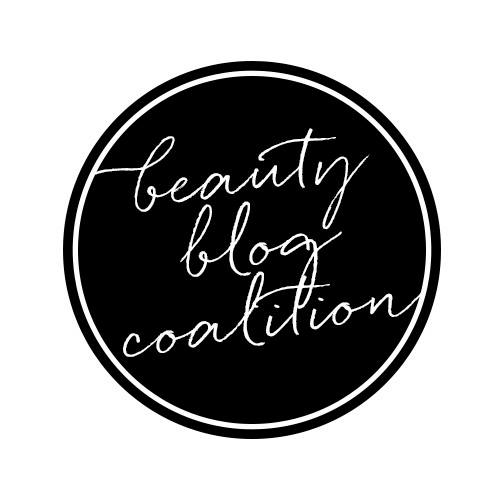 As promised, here is the second Bonita Cosmetics post to help get you through your Sunday ;) Check out the earlier post here if you missed it! This Sweet Ever After Collection is actually Bonita's Spring Collection, but I think they're still very wearable this time of year and the low price point offers a great chance to expand your pastel collection! ;) I swear I'm not an enabler! Happy Sunday, all! I've got a double set of Bonita Cosmetics posts to share with you today so check back later to see another stunning collection! Even though Bonita is a drugstore brand (available in almost every riteaid store or online! ), they are cruelty free and always come out with some stunning and on trend collections...the You Blue Me Away collection is no exception. I am absolutely smitten with this set of polishes, perfect for Spring and Summer, but even wearable year round if you're so inclined. Let's take a look! Happy Saturday, all! I don't think there is anything better than Saturday morning - I cherish it so much! All the stress and headaches of the week seem so far away on a Saturday. 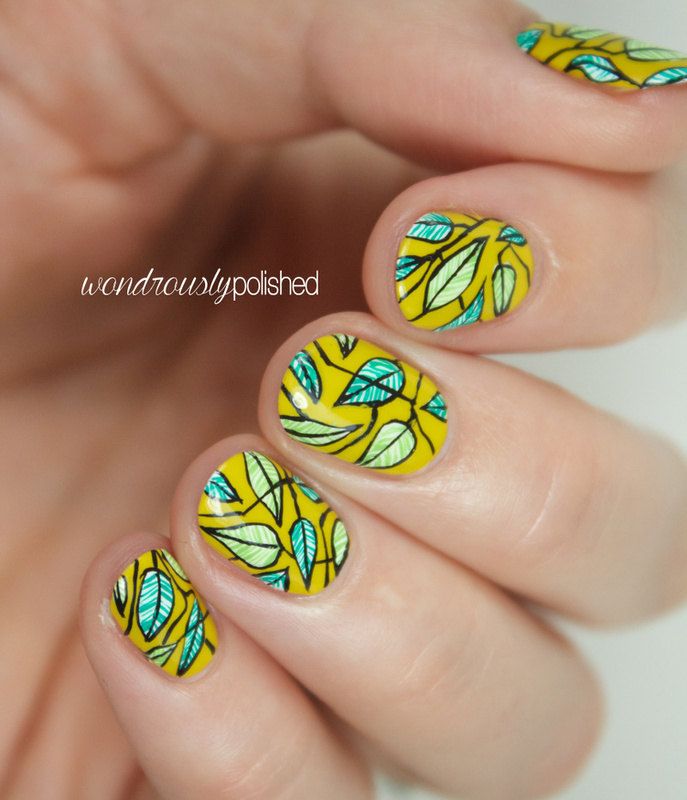 To celebrate, I've got a fun nail art look to share with you all and it felt wonderful to relieve some of the week's stressors with this intricate leaf look! Fair warning, I have zero self control and wasn't able to narrow down my photos (more-so than usual!) so this is a pic heavy post! Hello, all! I have swatches of some of the high end and always stunning Ciaté London polishes today! 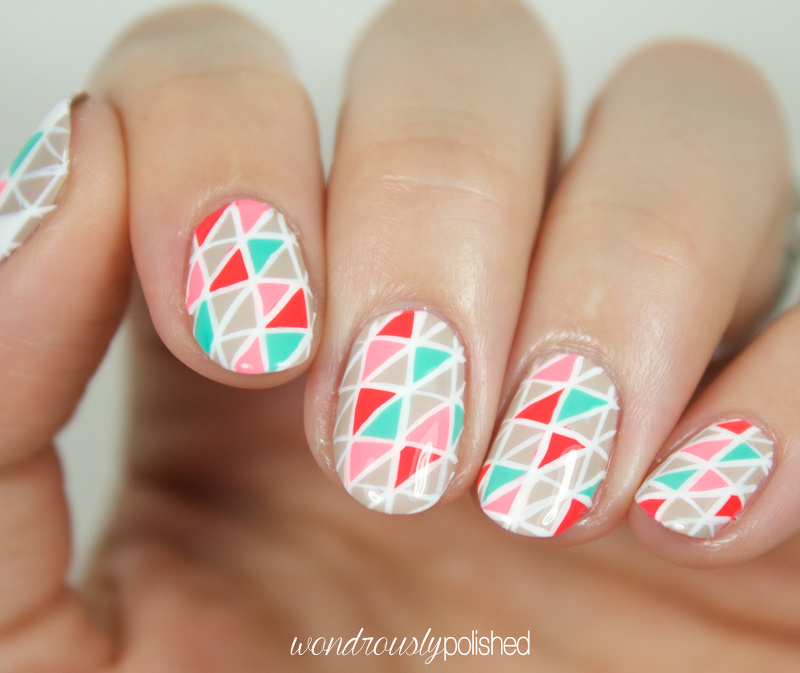 These are sort of a random assortment of shades but all still pretty and worth considering for your collection! I've always admired Ciaté- their bottles are adorable and the polishes I've owned have always been great. I actually purchased one of their advent calendars two Christmases ago that came with tons of adorable minis! Anyway, let's take a look! I think there are a few polishes here that would work great for any time of year, but there are so stunning fall/winter shades here! Happy Happy Friday, all! Wow, can you believe I made it through the week?! 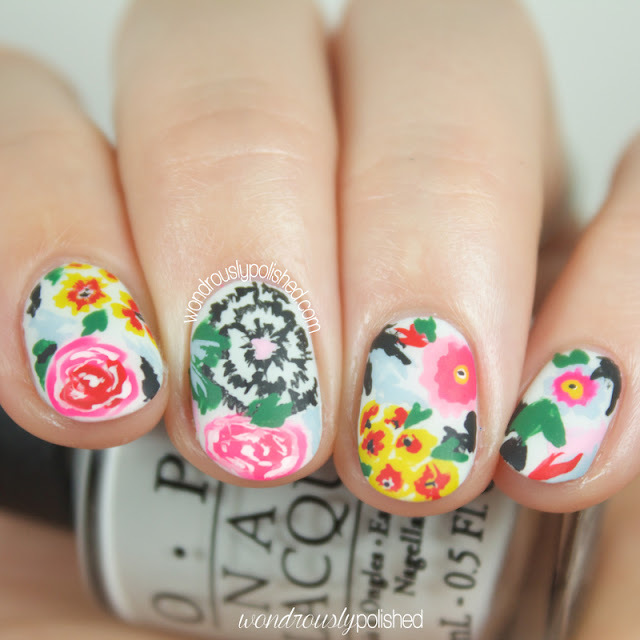 ;) I'm so excited to be back into the nail art way and hopefully I can keep it up in the future. 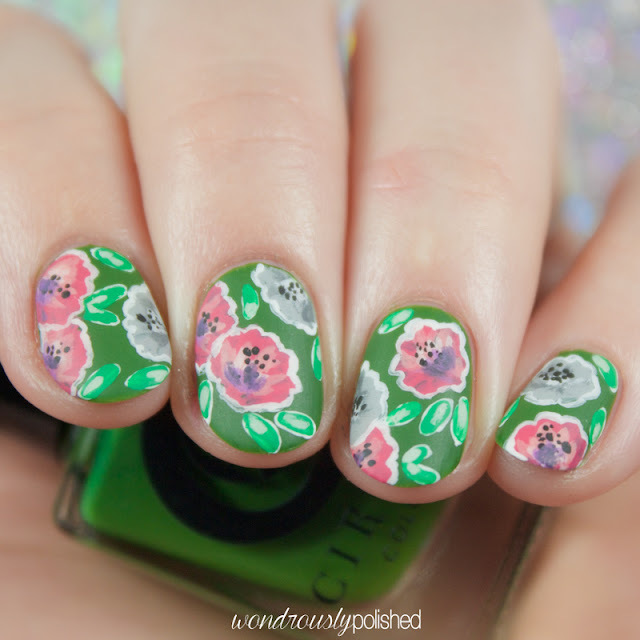 I so miss doing nail art regularly (and don't worry, I should hopefully have an AWESOME mani to share tomorrow - so excited about it already!). For my final day of Digital Dozen Neon week, I've done a simple but striking geometric pattern with my trusty striping brush. Hello, hello! I've got another short and sweet post for you all today (again). 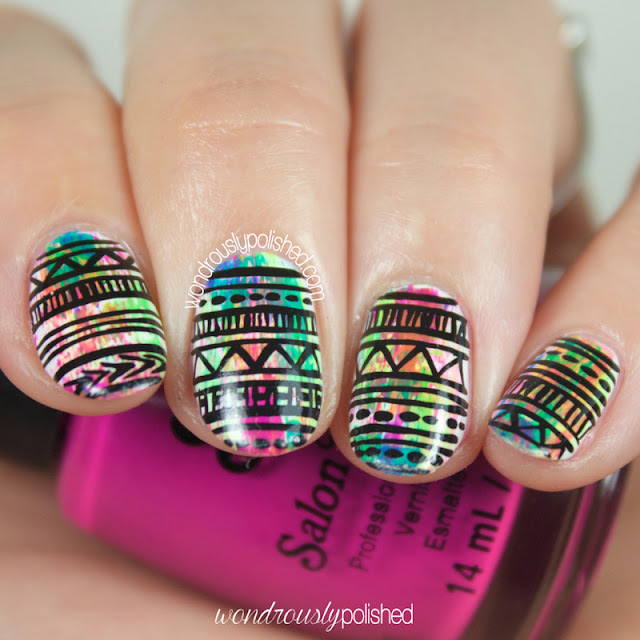 Today is Day 4 of Digital Dozen does Neon! Hello, all! I've got a short and sweet post to share - Day 3 of Digital Dozen does Neon week! 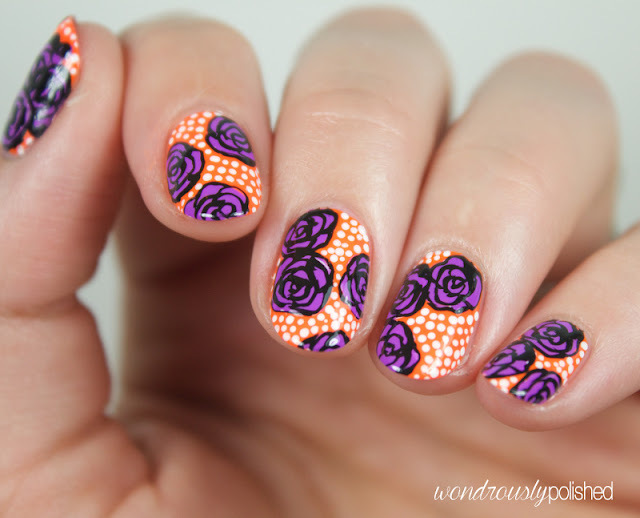 I've done a bright and high contrast pop art style rose look and I really like how they turned out. They're probably not going to be for everyone, but they were super fun to paint and I enjoyed wearing them quite a bit. Hello, all! 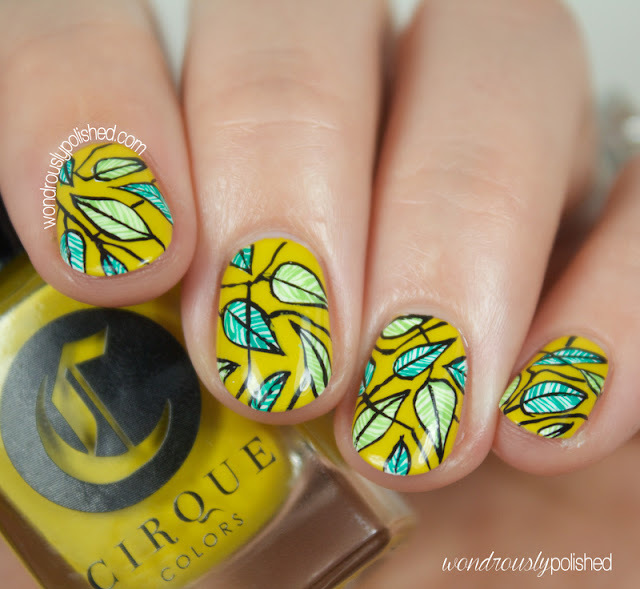 I have a beautiful and unique collection from ALIQUID Lacquer to share with you today! I think everytime I review ALIQUID polishes I talk about how amazingly unique the color combos are...and this collection is no different! I'm slightly obsessed. This collection is called "Summer of George" and is inspired by the goofballs of Seinfeld! Such fun :) The fiance bought me the entire series of Seinfeld on DVD for Christmas last year and I've been slowly working my way through it. Anyway, let's take a look! 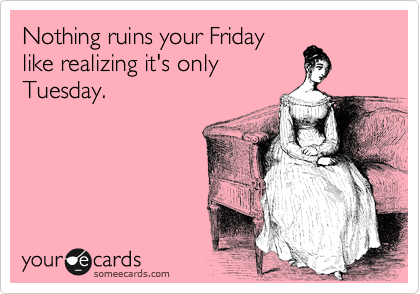 I hope you all made it through Monday with minimal heartache (though personally, I dislike Tuesdays almost as much as Mondays!). This week we're tackling the general theme of "Neon". 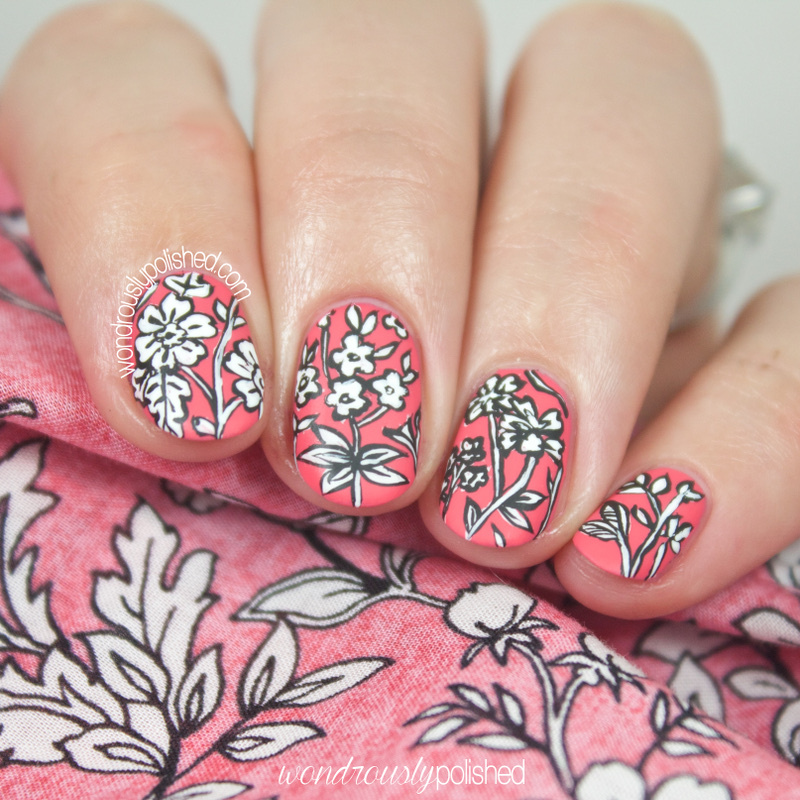 This can be any take on it we'd like, so for day one, I got intricate and messy all at once! Hello, all! First off, I am so sorry that I've been gone! I've been insanely busy with some projects I can't quite share yet, but I'm finally finished up with those so I'll be back to posting regularly again! I have some of the new Gleek Collection from Glam Polish to share today, all inspired by the songs of the show Glee. 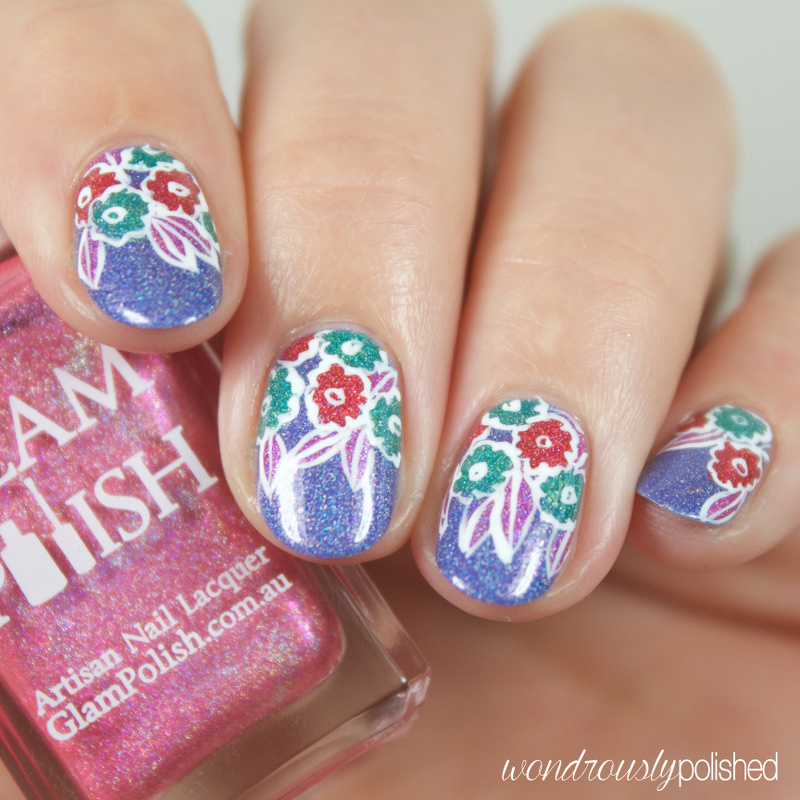 As always, Rachel from Glam has dreamed up some lovely shades that go nicely with the theme she's chosen. I watched the first few seasons of Glee so this was fun to remember the awesome covers the show did of classic songs.